A look at what’s new and exciting for Orlando’s theme parks and attractions. 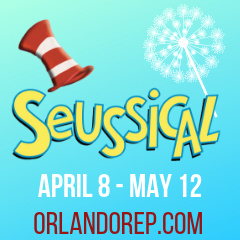 Orlando’s slogan is, “Built for families, made for memories.” As eye-roll inducing as that may sound, it rings true as our theme parks have time and time again created experiences enjoyable for all ages. 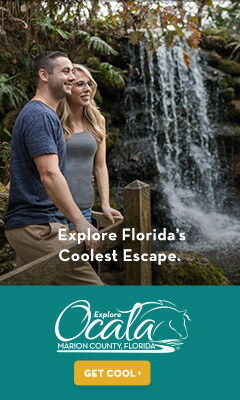 And Orlando knows how to keep the good times rolling with new attractions and experiences appearing every year. 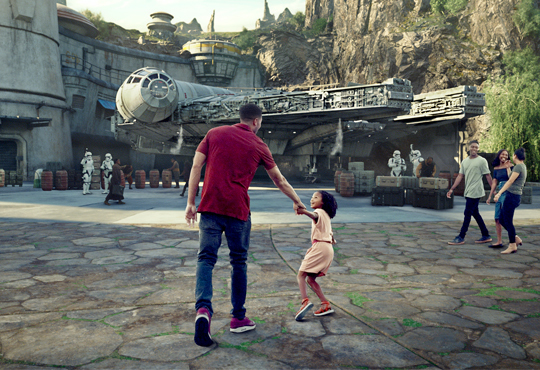 This year, look out for some of the most anticipated launches including Walt Disney World Resort’s Star Wars: Galaxy’s Edge and Universal Orlando’s Hagrid’s Magic Creatures Motorbike Adventure. And in the age of remakes and robots, Orlando theme parks are bringing originality into franchises both old and new including such favorites as Jurassic Park, Coco and Sesame Street. Not only will there by added story arcs to our favorite series, but also there will be other means of immersion such as the use of virtual reality to put guests right in the middle of all the action. So start booking your fast passes early, because you’re not ready for what’s next. Epcot and Hollywood Studios are the parks to watch this year as fantastical favorites like Guardians of the Galaxy and Star Wars make their debut. Fans won’t want to miss the opportunity to be transported to the intergalactic worlds by way of roller coasters and other far-out attractions. Speaking of transport, Disney also has plans to introduce a gondola lift system connecting its resorts to Hollywood Studios and the International Gateway at Epcot. The resorts that will be linked include Disney’s Art of Animation, Pop Century, Caribbean Beach and the company’s yet-to-open Riviera resort. The Disney Skyliner gondola system will make moving between select resorts and parks easier, and, maybe even fun as the gondolas will each be themed with a different Disney character. This spring, you’ll come to learn that life really is a highway during Lightning McQueen’s Racing Academy show. Showing future racers what he has learned over the years, and over the last several films, the show will include a racing demonstration in the Sunset Showcase Theater. Ka-Chow! Opening in August 2019, Star Wars: Galaxy’s Edge will transport fans to a galaxy far, far away. Backed by new and original Star Wars themes by the Oscar-winning composer John Williams, this new themed-area of the park will include attractions such as Millennium Falcon: Smuggler’s Run, which puts you in one of three flight crew roles aboard the fastest starship in the galaxy alongside co-pilots Hondo Ohnaka and Chewie. Another announced attraction is Star Wars: Rise of the Resistance, which will place you in the heart of the fight between the Resistance and the First Order. Galaxy’s Edge is a fully immersive experience, so beyond thrilling rides, attendees will also be able to stop by Oga’s Cantina to get a taste of Blue Milk, along with other specialty alcoholic and non-alcoholic beverages. The unnamed Tron roller coaster, modeled after Shanghai’s Tron Light Cycle Power Run roller coaster, is gaining some traction. Tracks are currently being built for the ride that will be located next to Space Mountain. When completed, riders, two at a time, will board the motorcycle-like Light Cycles for a trip of quick movements and bright lights through the high-tech universe of the cult-favorite science fiction franchise. The tentative opening date is 2021, just in time for Walt Disney World’s 50th anniversary. Join Timon and Rafiki in a daily dance-along celebration of The Lion King’s 25th anniversary on the Discovery Island Stage. The recently opened Hakuna Matata Time Dance Party garners excitement for the new live-action film and creates nostalgia for the beloved story. This live performance brings forth the acclaimed music from the original animated feature with appearances from all your favorite characters. Celebrate family and tradition through music and dance during a Coco-inspired show, which recently opened at the Mexican Pavilion. Musicians of the Mariachi Cobre join a pair of Folklórico dancers for an original retelling of the award-winning animated movie, with a special appearance by a puppet form of the 12-year-old lead character, Miguel. Onlookers will fall in love all over again with the movie’s emotional ballads such as “Remember Me” and get-on-your-feet numbers like “Un Poco Loco,” all while the dancers take them on a journey to remembering their own roots. 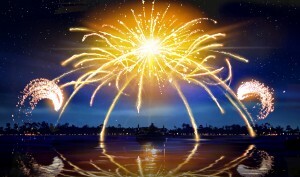 The long-running IllumiNations: Reflections of Earth fireworks display will go dark later this year to be replaced by a limited-run nighttime show called Epcot Forever. And then in 2020, the park will replace Epcot Forever with A Celebration of Disney Music to commemorate the impact that Disney films and scores have had across the globe. 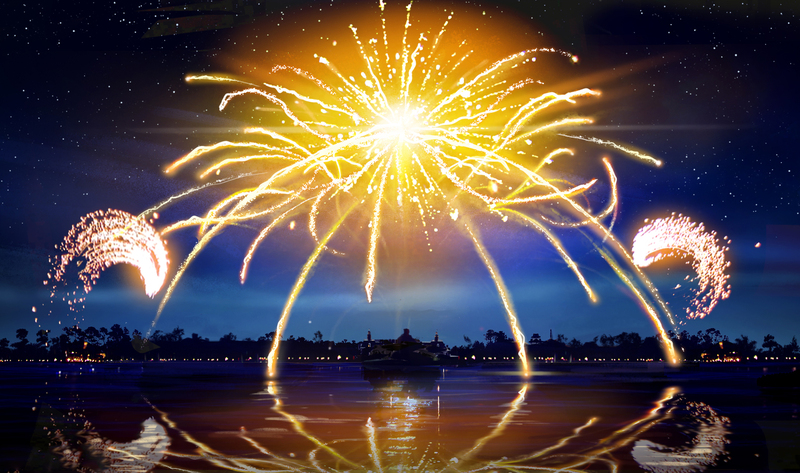 Multiple Disney characters from both new and classic films will make appearances in this new nighttime spectacular. Lastly, the much anticipated Guardians of the Galaxy roller coaster, opening date unknown, has been deemed a “storytelling coaster” by Disney. A storytelling coaster is a new concept that steers the passenger’s focus toward pivotal parts of the storyline. A combination of thrilling mechanics and narrative, the ride will dip, tilt and whirl as it takes riders on a journey alongside the galactic superheroes depicted in the popular Marvel Studios’ comics and movies. Opening on the West Side this summer, City Works Eatery and Pour House is a sports fan’s playground. The restaurant will have more than 80 beers on tap and sporting events displayed on a giant 160-inch screen. Chef José Andrés recently opened his first Florida restaurant, Jaleo, in Disney Springs. Jaleo is housed in a multi-level space and focuses on traditional and contemporary Spanish favorites such as tapas and paella. With a journey into Hogwarts’ Forbidden Forest and a visit from Lord Voldemort himself, Universal Studios is delving into darker realms. 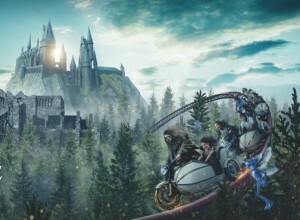 But with Hagrid there to guide riders through the potentially spooky finds in the forest, and light displays to offset the villainy, riders and park-goers will be less frightened and more on the edge of their seats. Fans of the Today Show will also have something to talk about when the park opens a new brunch spot. And rumor has it that Jurassic World is also on deck for getting its own spot in one of Universal’s theme parks. Hold on to your butts because Universal Orlando Resort has hinted that a Jurassic World attraction may be coming to the park. Speculators are saying that the ride, based on the sequel to the original Jurassic Park movie trilogy, may be a roller coaster due to track layouts found within permitting documents filed by Universal. However, no formal announcement has been made by the company. Universal is rumored to also be working on a new Orlando theme park. Documents that were leaked to a local park blogger who posted them online suggest that the park will be an expansive buildout. While some people are already theorizing about what theme this supposed park will take, Universal has stayed tightlipped on what its plans are for the future. Hogwarts’ half-giant, half-human groundskeeper is getting his own attraction. Opening this June, Hagrid’s Magical Creatures Motorbike Adventure will have guests riding on Hagrid’s motorbike through the Forbidden Forest, with drops and reversals interspersed for suspense. Fans will have the chance to not only get to ride the famous bike previously owned by Sirus Black, but also come face to face with the rarest of mythical creatures from the world-famous Harry Potter book series. A new light projection experience is also in the works. Called Dark Arts at Hogwarts Castle, the show will feature the fear-inducing characters of the series including dementors, Aragog and Lord Voldemort. The opening date has yet to be announced. After the closing one of CityWalk’s oldest restaurants, Beverly Hills Boulangerie, Universal Orlando announced that a Today Show café will take its place. The cafe will feature food inspired by the favorite dishes of the long-running morning news show’s anchors. Light breakfast and lunch items will be featured including avocado toast, sandwiches and acai bowls. While Walt Disney World and Universal Studios have the monopoly of notability in Orlando’s park scene, they are not the only attractions worth visiting. SeaWorld Orlando and Legoland are embracing new and old by way of new Sesame Street and The Lego Movie attractions. Meanwhile, SeaWorld is not just being inventive but also inclusionary with its Aquatica water park that is the world’s first Certified Autism Center water park, meaning more people than ever will be able to join in on the fun. And speaking of water parks, Margaritaville Resort Orlando is building a 14-acre one. 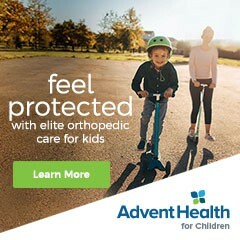 It appears that 2019 is the year for expansion and excitement. SeaWorld Orlando can now tell you how to get to Sesame Street. In SeaWorld’s latest endeavor, guests will find themselves among the settings of this long-running PBS children’s show including Abby Cadabby’s garden, Mr. Hooper’s store and Big Bird’s nest. Fans won’t be able to resist a picture on the famous 123 stoop where Elmo, Cookie Monster and Big Bird will be waiting to greet you. The first ever SeaWorld parade will be held there daily and will feature a slew of friendly neighbors. Attractions will include Big Bird’s Twirl n’ Whirl, Cookie Drop and Elmo’s Choo Choo train. Aquatica has officially become the world’s first Certified Autism Center water park by the International Board of Credentialing and Continuing Education Standards. This means that the park has been made totally autism-friendly including the installation of guides for each ride to show how the attraction individually stimulates the five senses. Furthermore, there will be designated quiet zones with dimmable lights and comfortable seats if autistic guests become overstimulated or weary. This might be inevitable as exhilarating attractions such as the KareKare Curl, a two-person curve shaped wave slide with a vertical wave wall, will be opening to the public later this year. Legoland will adopt The Lego Movie franchise later this spring into their park as three new attractions will be built from the first two movies of the series. The first is called The Lego Movie: Masters of Flight, which will incorporate the triple-decker flying couch from the film and take guests on a theater-based virtual adventure through Bricksburg, where fans will interact with faces both new and familiar. At the Unikitty’s Disco Drop guests will be transported to Cloud Cuckoo Land before being sent back to Earth along a rainbow of Unikitty’s many personalities. And finally, the Battle of Bricksburg will challenge riders to stop aliens from invading and stealing Legos with water gun weaponry in an interactive experience. Nomadic, a virtual reality entertainment company, will introduce not one, but two new location-based VR experiences to Pointe Orlando. One is confirmed to be a Mission Impossible concept based on the films and television series. The other is said to be a VR shooter game that will have guests battling zombies. It’s 5 o’clock somewhere and that somewhere appears to be the new Jimmy Buffett’s Margaritaville Resort Orlando. With its grand opening earlier this year, the resort is bringing new excitement to Orlando’s tourism corridor. The resort has lagoon style-pools, a St. Somewhere Spa, and a shopping and dining boardwalk. But the resort isn’t finished just yet, as a 14-acre water park expansion—with three slide towers, a wave pool and a river raft ride—is currently in the works and expected to open in spring 2020. For those who would rather waste away in Margaritaville, there will also be hammocks, cabanas and adult-only areas. 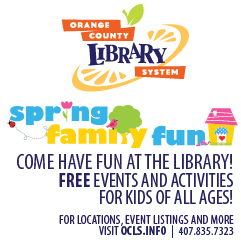 This article originally appeared in Orlando Family Magazine’s April 2019 issue.